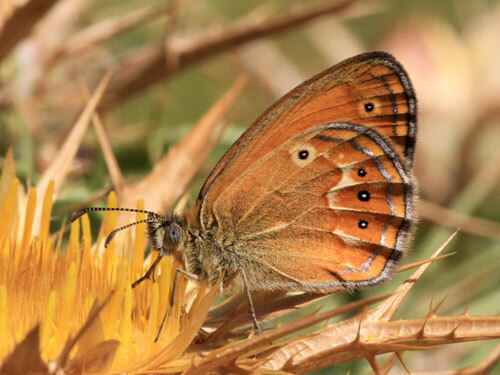 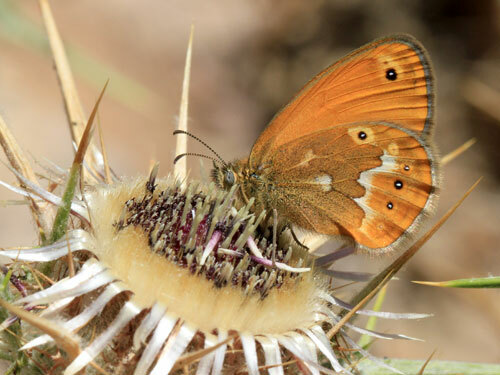 This attractive butterfly is found Corsica and Sardinia. 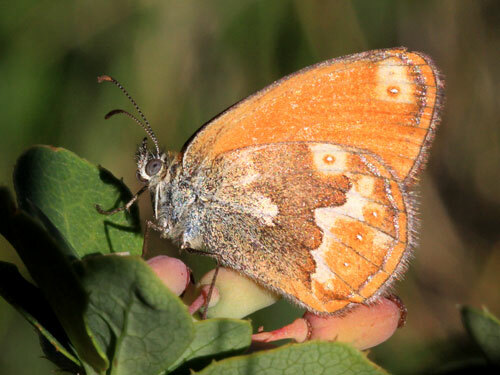 It is not clear if it is a fully distinct species from the Elban heath, C. elbana as the resemblance is clear. 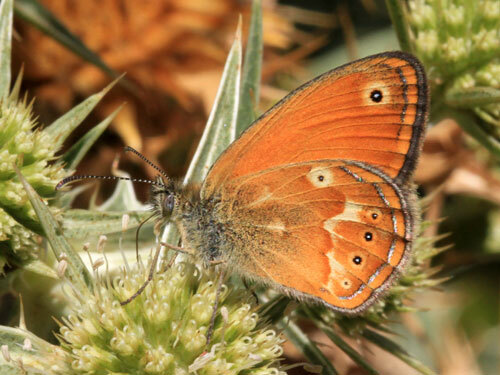 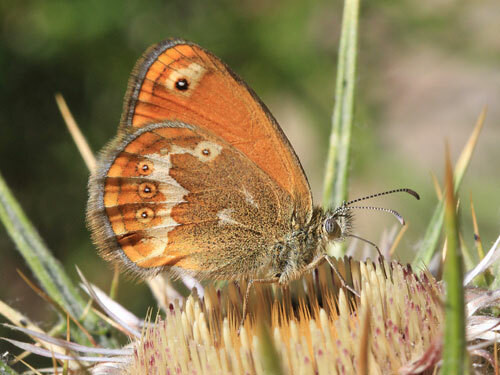 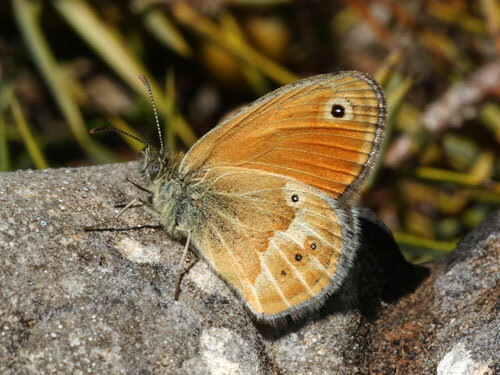 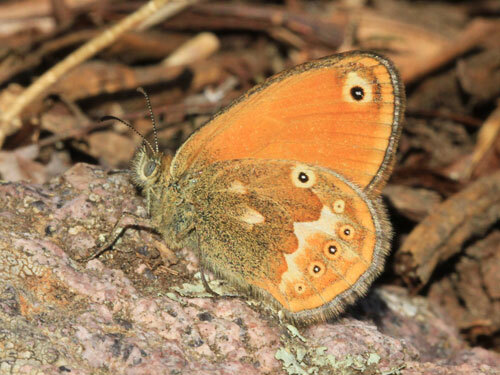 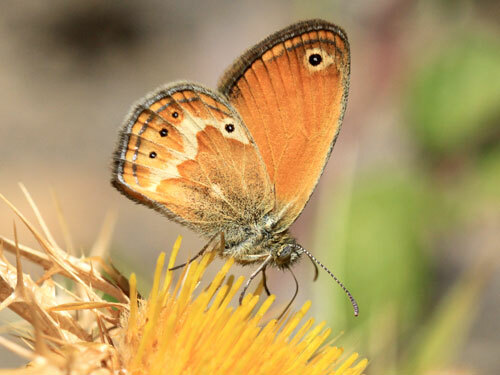 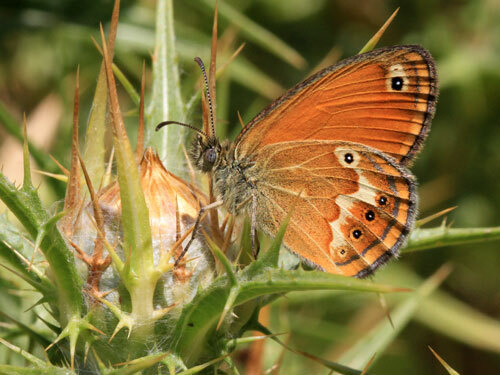 Identification & Similar species: Only the small heath C. pamphilus flies on these islands. 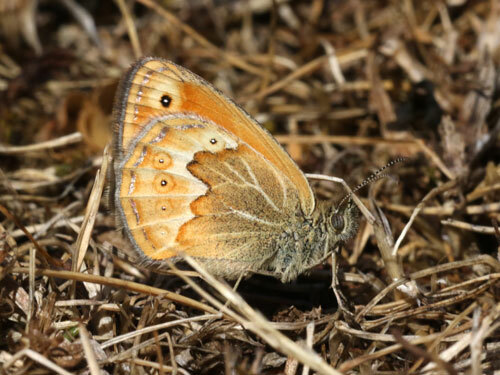 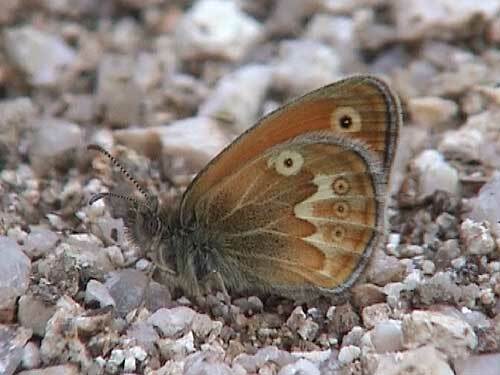 The rich brown underside hindwing ground colour, white discal band and spotting are quite distinct. 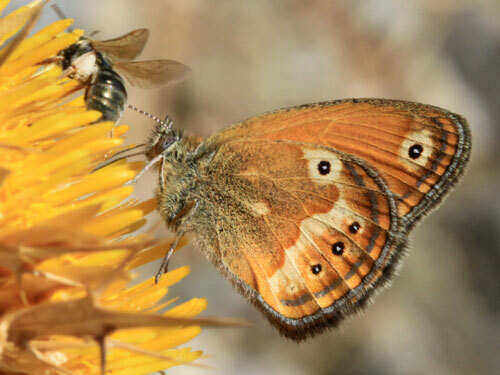 Distribution & Flight: Endemic to Corsica and Sardinia. 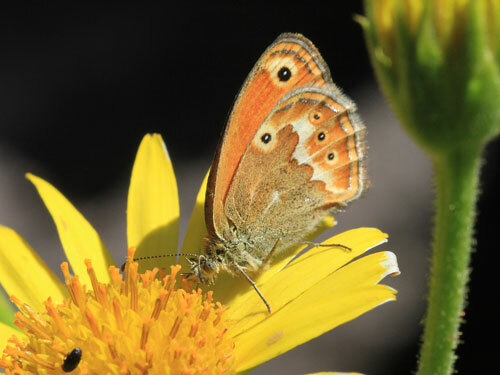 Flies from mid May to August. 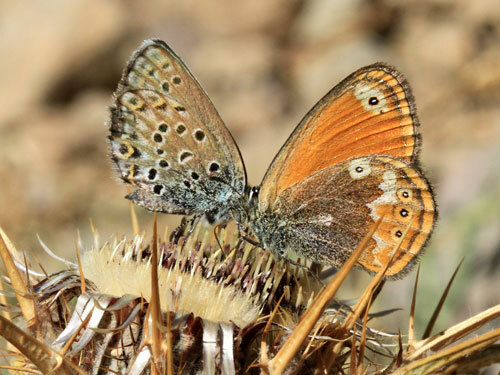 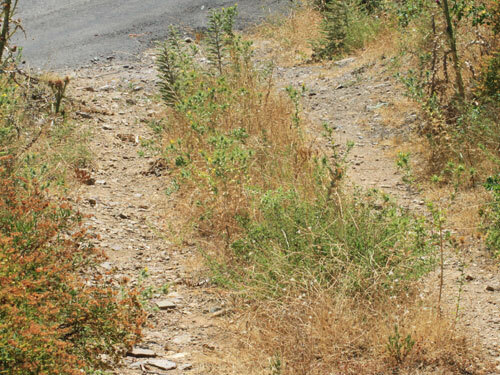 Habitat & Behaviour: Very hot dry grassy places. 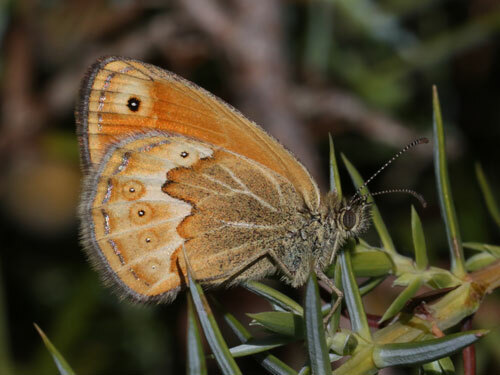 We only found it at higher levels (above 1000m on Sardinia and 500m on Corsica) although it flies from sea level. 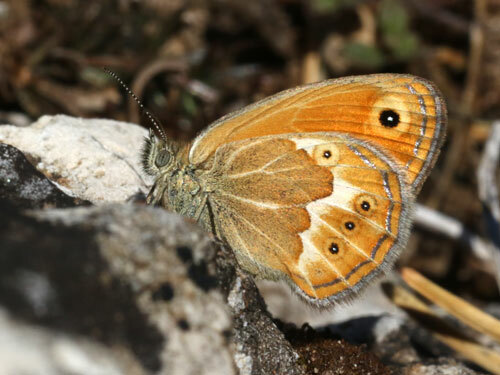 It's found locally around Mt Gennargentu on Sardinia but we didn't find it commonly in May. 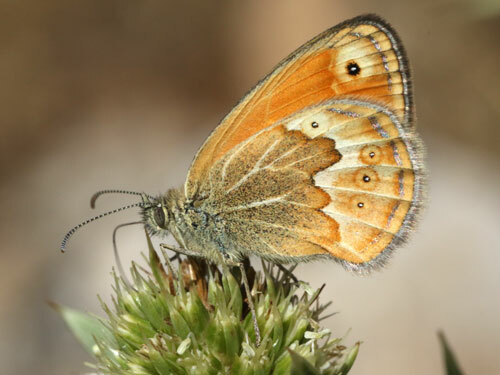 Much commoner and widespread on Corsica in July. 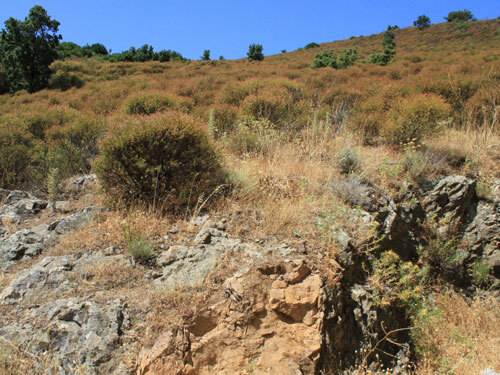 Typical dry hillside habitat. 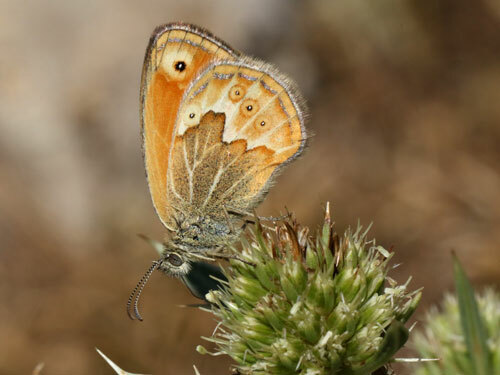 Also here: Lasiommata paramegera, Hipparchia aristaeus. 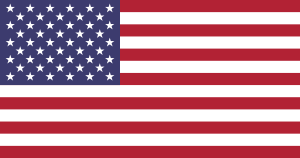 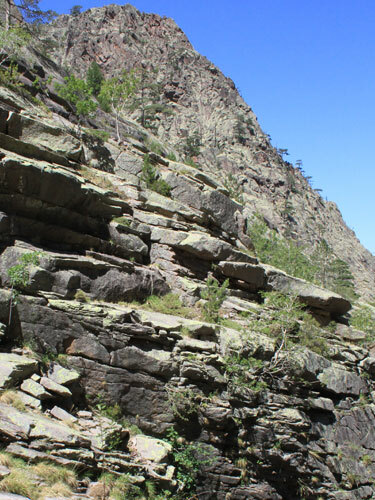 Form found at higher altitudes.